The SBCSA sanctions channel crossings between the mainland and seven of the eight Channel Islands (except Catalina). These swims range from 20 km / 12.2 miles (Anacapa) to 100 km / 62 miles (San Nicolas). The Santa Barbara Channel is defined by the waters between the four northern islands (Anacapa, Santa Cruz, Santa Rosa, and San Miguel) and the California mainland. 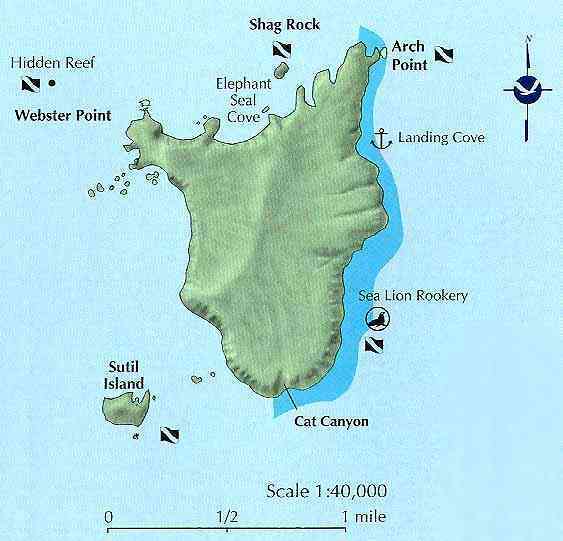 A swim between any of these islands and the mainland is considered a “Santa Barbara Channel swim,” and qualifies as a leg of the California Triple Crown. Hover over orange markers to view names of points. Photo by T. Hauf, courtesy of the National Park Service. Anacapa is the closest Channel Island to the California mainland, just over 12 miles by the shortest straight-line route. This is the SBCSA’s most popular swim route - a bona-fide channel swim at an accessible distance. SBCSA Vice President Dave Van Mouwerik wrote a detailed roadmap for the Anacapa swim. 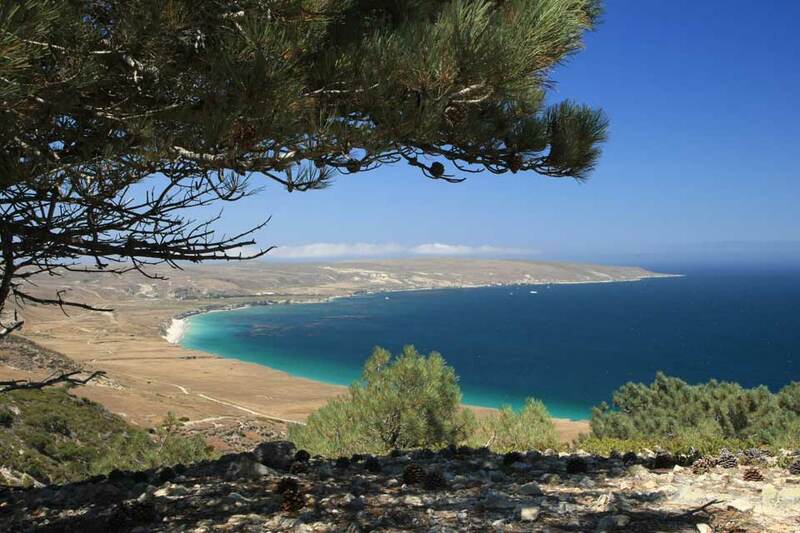 Santa Cruz Island is the “crown jewel” of the Channel Islands archipelago, and features prominently on the horizon along most of the Santa Barbara and Ventura County coastline. The geography of the island (23 miles from end-to-end) supports two distinct swim routes to the mainland: from the east end to Oxnard; and from mid-island to Santa Barbara. The Santa Barbara route was pioneered in 1926 by the Kelp Club relay team - the first recorded channel swim in California history. The Oxnard route (pioneered by David Yudovin in 1982) is the shortest route to the mainland and follows a similar bearing as the Anacapa swim. From Santa Rosa’s rare torrey pine forest, looking north toward Carrington Point. Mainland barely visible in distance. Photo courtesy of National Park Service. Suggested route: Carrington Point (Santa Rosa Island) to Coal Oil Point (Goleta). Recommended experience: 20+ mile swim in similar water temperature (e.g., English Channel, Catalina, or Lake Tahoe length). Santa Rosa Island, second-largest of the Channel Islands, is visible on clear days from the Goleta and Gaviota coast. The island is “rimmed with smooth marine terraces, stark cliffs, isolated beaches, and pristine tide pools” still largely untouched from when prehistoric pygmy mammoths roamed its hills and canyons. The shortest route to the mainland is 27.4 miles, from Carrington Point to Coal Oil Point, near the campus of University of California, Santa Barbara. In 2008, Marc Lewis of San Diego became the one and (so far) only solo swimmer to make the crossing. A documentary of this monumental swim can be viewed HERE. Photo by Wm. Dewey, courtesy of Island Packers. 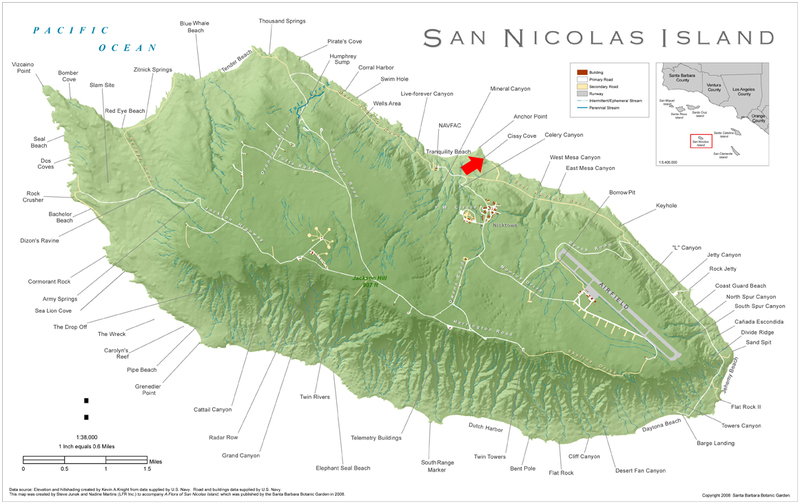 San Miguel is the westernmost Channel Island and the most exposed to the predominant northwest winds and swells rolling in off the Pacific Ocean. This part of the channel offers the coldest water and most challenging swim conditions in all the Channel Islands. Only one swimmer has made the 26.7-mile solo crossing - Penny Palfrey of Australia. 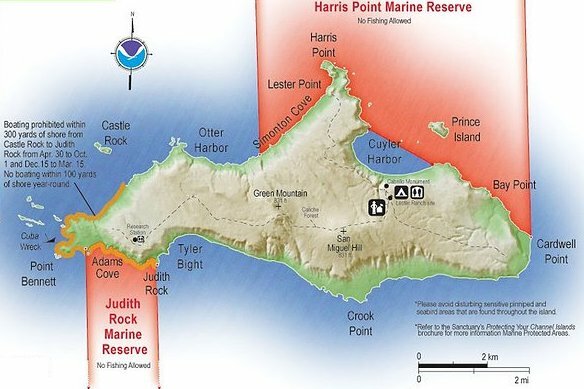 The shortest route is between Harris Point at the northern tip of the island and Government Point, just east of Point Conception. A protected cove and sandy beach is available at nearby Cojo Bay. Miles of sandy coastline extend further east along the Hollister Ranch property. The Southern Channel Islands offer wild open ocean and lands only rarely visible from the mainland. Tiny Santa Barbara Island, “a mere speck… in this watery immensity,” is the easternmost member of Channel Islands National Park. On a clear day, six of the seven other islands (except San Miguel), can be seen from atop the island’s prow. From SBI’s northern tip (Arch Point), you’ll aim for either end of Santa Monica Bay - either Point Dume (Malibu) or Point Vicente (Palos Verdes). The Point Dume route is shorter (37.7 miles), but prevailing winds and currents may make Point Vicente (40 miles) a preferable destination. In 2009, Penny Palfrey completed the first and only solo swim between SBI and the mainland (finishing at Point Vicente). 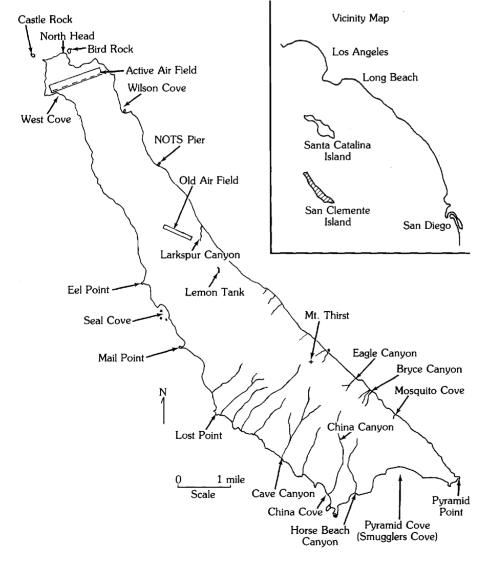 Suggested route: Northeast San Clemente Island, around the west end of Catalina Island, to Point Vicente. Recommended experience: Double English Channel, Double Catalina, or equivalent. 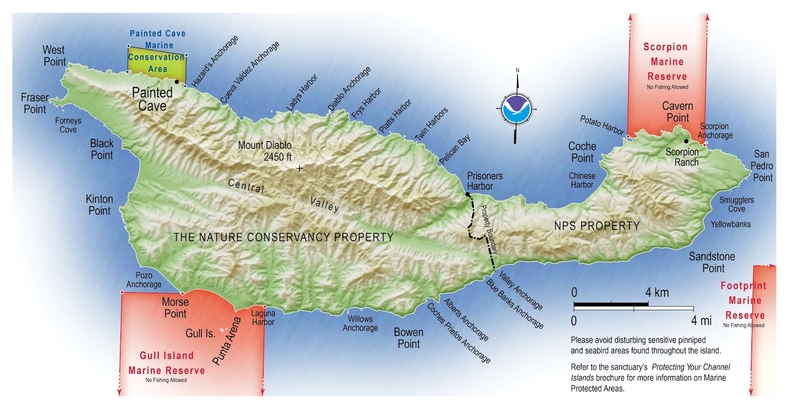 Access to San Clemente Island is restricted, and you must obtain permission from the Navy to swim to or from its beaches. San Clemente Island, owned and operated by the United States Navy, is visible off the back side of Catalina Island but rarely from the mainland. Some relevant information is available at scisland.org. If granted permission from the Navy, a swimmer will likely depart from the northeast corner of the island. The shortest route to the mainland is around the west end of Catalina Island and finishing at Point Vicente (52 miles). In 2011, Tina Neill completed the first and only solo swim between San Clemente Island and the mainland, finishing near Point Vicente (via the west end of Catalina) in 28 hours, 41 minutes. Photo courtesy of Univ. of Calif. Museum of Paleontology. 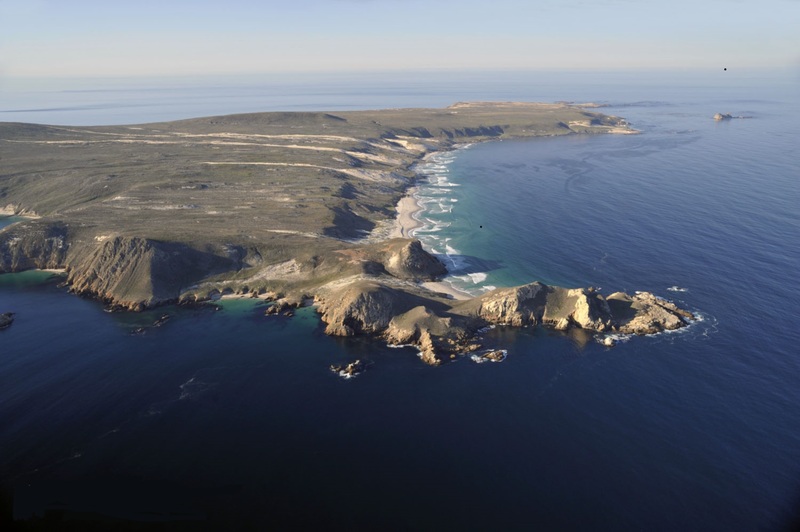 Access to San Nicolas Island is restricted, and you must obtain permission from the Navy to swim to or from its beaches. 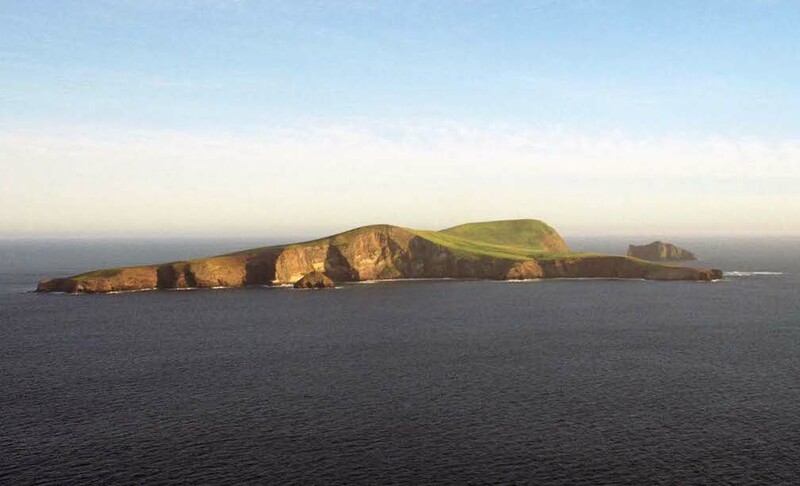 San Nicolas Island is the most remote Channel Island, more than 60 miles off the mainland by shortest route. 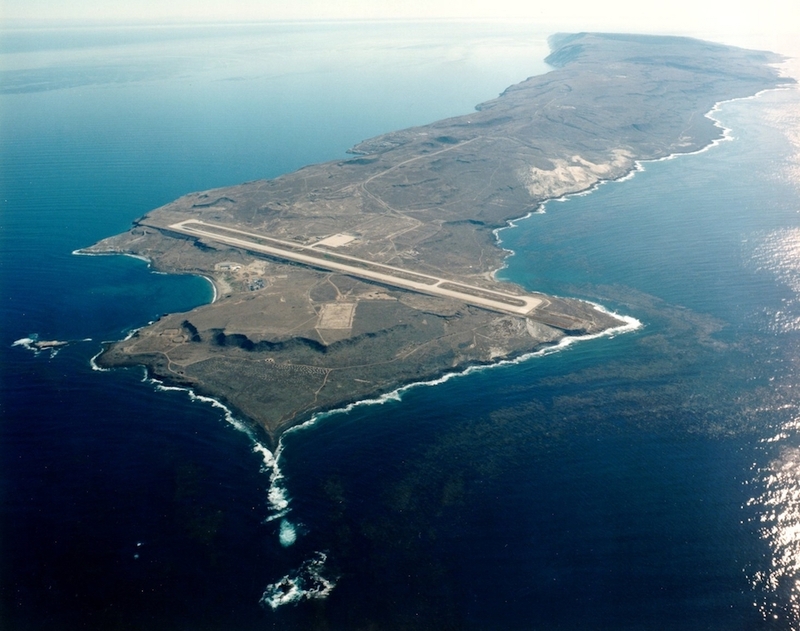 Like San Clemente Island, San Nic is an active Naval base with restricted access. The island is perhaps best known as the former home of the Lone Woman of San Nicolas Island, immortalized in Scott O’Dell’s children’s novel The Island of the Blue Dolphins. The shortest route to the mainland finishes at Point Mugu, near Oxnard (61.7 miles). However, prevailing winds and currents may make a Point Vicente finish more favorable despite ~7 additional miles of distance. The Deep Enders relay is the only successful swim off San Nicolas (33 hours, 37 minutes in 2015).